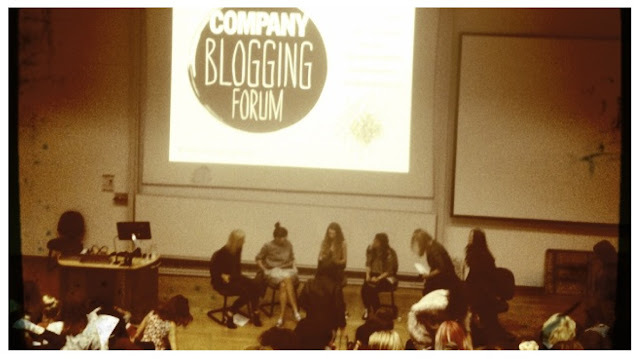 In a bid to put myself and my blog more "out there", I (wo)man-ed up and purchased a ticket to this year's Company magazine Blogging Forum. On Monday evening, having hauled myself across London after work, I arrived clammy (eww) and stressed as I was late (surprise surprise). Whilst attempting to find the entrance, I introduced myself and decided to join forces with the stylish killer-heels Katie who looked in the same boat. Entrance found, on entering the lobby we were greeted with Candy Kittens lollipops, a nice sweety surprise, and then ushered into a lecture theatre for the talk with some pink bubbly - this was slightly surreal as for a brief moment thoughts of exams came flooding back! The panel included super-star-blogger Susie Bubble of Style Bubble blog, video blogger extraordinaire Rhiannon of fashionrocksmysock blog (also winner of Company's 2013 best new fashion blog), Oh My Love, Boohoo, Handpicked Media and Company editor Vic. After answering various questions on how to start a blog as well as tips on how to keep up and grow existing blogs, there was a lengthy Q&A session which just showed how popular and influential blogging has become in recent years. For me personally, the whole session highlighted the number of talented bloggers out there and listening to Susie's honest recount of her 7-year journey as a blogger made for a really inspiring session filled with both advice and a realistic view on how to have fun in the blogosphere. All in all, a really interesting event. I'm glad I went for both the experience and the lovely (and oh so stylish) ladies I met as a result - Katie of Desperately Seeking Freedom, Yasmine of Yazmataz and Waj. All I wish was I had brought my camera (such an amateur)! 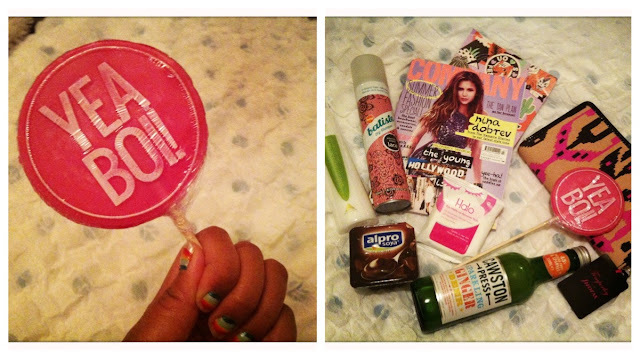 Thanks to all the speakers last night for a great forum, Company Mag for hosting (and for the goodie bag!) and Candy Kittens for the sweet treats!